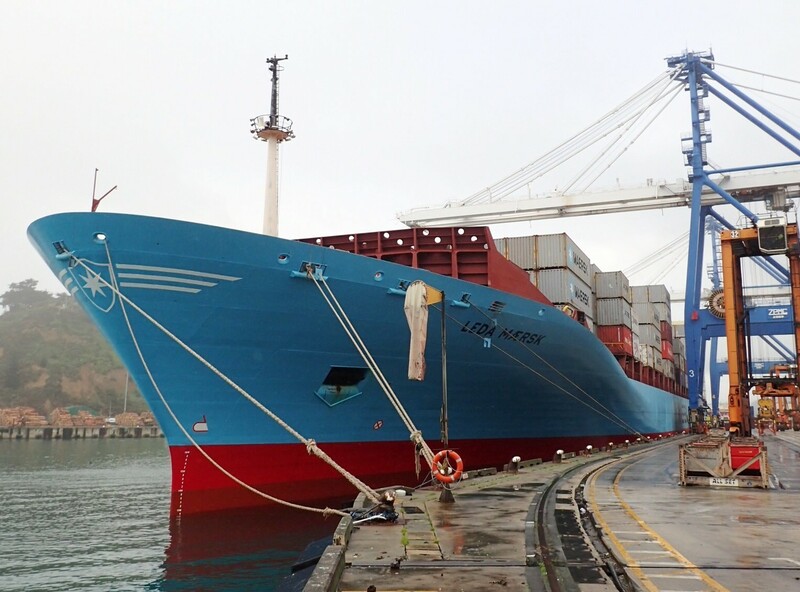 The container ship Leda Maersk was navigating the channel into Port Chalmers, Dunedin, with a harbour pilot on board when the ship grounded. The ship resumed its journey to the berth, where divers inspected the hull for damage. Nobody was injured.